Sendot Research B.V. was established in 2015. Sendot Research aims at providing solutions in sensor technology. Sendot research is located in Bunnik, close to Utrecht, and focuses on contract research, product development and the upscaling of its current production line. Since the initial creation Sendot strived to collaborate with its partners on a transparent and equal basis to identify new markets, applications, identify OEM-synergies and provide fitting solutions for present and future challenges. 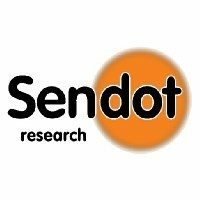 Sendot has established a flexible business model which permits close collaboration with partners in research and industry. Sendot Research B.V. is active in numerous fields, from food to biotechnology, from energy to water, from the lab to the agro-sector and from research to off-shore. In short Sendot Research is active in all places where sensors can make the difference. Sendot Research B.V. develops and produces optical and optochemical sensors.